An annuity very simply is a contract between an insurance company and an individual where the individual provides principal up front and the insurance company in return pays the individual a regular stream of income for the agreed upon length of time, sometimes for life. There are many types of annuities and even more options to choose from. Most of them fall into the following categories. These are popular with people who are about to retire. Instead of you making a series of payments over time to the insurance company and receiving a lump sum payment after you die, you pay a lump sum in the beginning and start receiving distributions every month for a time period that you choose upfront. That time period can be several years or for the rest of your life. This gives the individual the security of a steady monthly income. These can be immediate or deferred. Fixed deferred annuities accumulate interest at a fixed rate or rates that you selected when you purchased the contract. Fixed annuities make fixed payments during the payout period. These annuities are popular because they can give a predictable payout during retirement. If you are looking for aggressive growth in your portfolio and have more tolerance for risk, then variable annuities might be a good choice for you. They give you the option to choose the sub-account that your money is invested in. Your money is then directly invested in the equity that you have chosen. Your portfolio can gain or lose value depending on the performance of the sub-account you have selected. Money in a fixed indexed annuity earns interest based on changes in the index. The indexes are tied to one of the major market indexes like the S&P 500. When the market goes up, so does your account but you will receive only part of the gain based on the participation rate, cap or spread rate that you have selected. However, in a downward market, zero percent is credited to your account, not a negative percentage. Under the lifetime option the insurance company guarantees to make income payments to you for as long as you live. Even if your account value has reached zero, you will continue to receive your distribution. The joint and survivor option expands the lifetime benefit of an annuity to both the retiree and their spouse. As long as one of them is still alive, payments will continue until their death. A ten-year period certain payout means that you are guaranteed to receive payments for ten years. If you were to die before the tenth year, payments would continue to your named beneficiary for the full ten years. A combination of a lifetime payment option and a period certain option. You receive a guaranteed payout for life that includes a period certain phase. 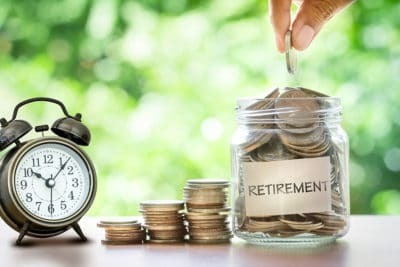 If you die during the period certain phase of the annuity, your beneficiary will continue to receive the payment for the remainder of the term. However if you live beyond that term, you will continue to receive payments for the remainder of your life.